I received my copy of Better Homes & Gardens, which is sent to me automatically since I'm subscribed to Decorating Inspiration, a good resource by the way, and I saw a major featured kitchen in this issue that was also on display at KBIS. I had taken photos of this kitchen, which are the top three, below. This issue is out now with lots of other images and information on this kitchen. It is the August issue. The real point I want to make about this kitchen is to encourage my readers to consider its style. 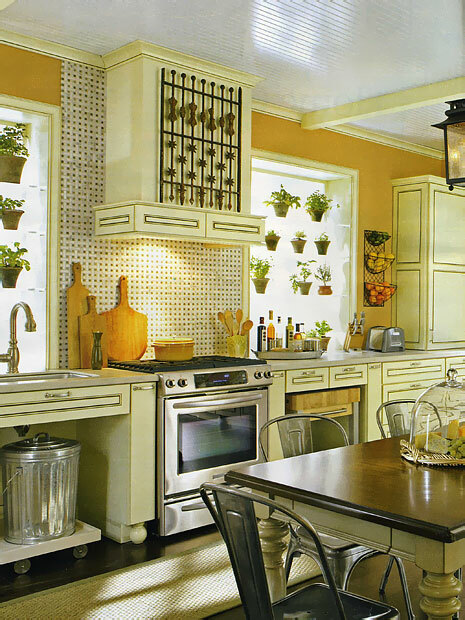 My sense, which I hope I can communite effectively, is that this is one of a "type" of kitchen style, that, is just that, about (kitchen) style alone. 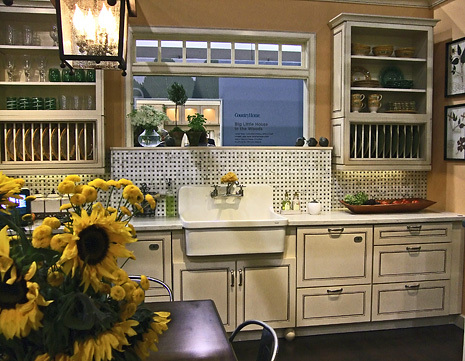 It's not about history, architecture, or about one's unique personality being reflected in the kitchen design. It's simply all about how to style a kitchen, end of story. It's the kind of look that I know it when I see it! I've seen it many times before, and to me, it is a distinctive look, this all encompassing theme of "kitchen style," for style's sake. It's a really beautiful kitchen in many ways. It's not for me, personally, but then, I have the luxury to sit here and go into the nuances of all things kitchens and dissect it all! 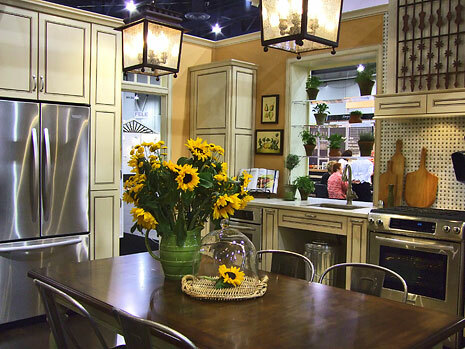 There are a good number of clever and interesting elements in this kitchen. It's beautiful in many ways, and certainly highly functional, but I cannot find the soul. It is subjective, don't forget that. 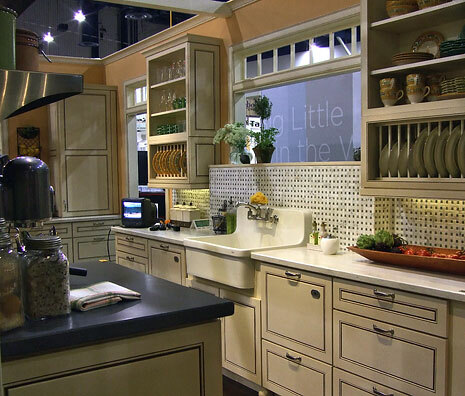 AND, after all, it's a "set" kitchen, made to showcase products' versatilities, which it does quite well.